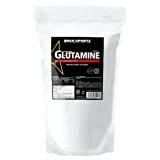 Stimulatory effect of glutamine on glycogen accumulation in human skeletal muscle. Am J Physiol. 1995 Aug;269(2 Pt 1):E309-15.